When people talk about life insurance, many would only be familiar with its death benefits. There are, however, a lot of nice living benefits or uses that life insurance can offer. Here are some of the very useful ones you may want to take into consideration when choosing the right insurance product for you. One very useful rider some life insurance products have is the Hospital Confinement Benefit rider. This rider allows the insured to reimburse a certain amount if he/she is confined for a certain period of time (at least 12 hours confined) due to any illness. Usually, coverage is for 365 days, which means that one is practically covered every day of the year. Some products also have additional coverage, such as long-term hospitalization ( an additional benefit when confined for more than 30 days), ICU confinement, outpatient consultations and surgical allowance (usually once-a-year benefit that can cover your surgery expenses) benefits. Although this does not replace the convenience of an HMO, it can be a great supplement or substitute in case your trusted doctor/hospital is not an affiliate of your chosen HMO. This is one of the more common uses of life insurance, especially if you have acquired a loan from the bank. Life insurance is a really good product to protect your family from debts or loans one may have. When you get a loan from a bank, the bank usually would prefer you to have MRI to ensure that your loans are paid for in case death strikes the insured. This way, those left behind won’t worry about paying for the remainder of the loan since the insurance company will ensure any amount left to be paid is paid off. Usually, banks include this as part of the monthly amortization that you are paying for. However, in case you have a personal insurance that is equal to the principal amount of the loan, you can inform your insurance company that you will be assigning the beneficiary to the bank. In case the loan is fully paid and the insured is still alive, then the personal insurance will be unassigned from the bank. In general, our idea of retirement is to be able to receive a regular amount of income without doing any work at all. There are a lot of ways this can be set up. One may be through business, another is through rental income. Some do it through trust funds. Others, though, use life insurance as their pension savings. Since life insurance (except term life insurance) has living benefits, some products are made for this purpose. Living benefits of these insurance products are given to the insured on a monthly/quarterly/annual basis once it has reached maturity. The advantage of this is that you won’t be taking as much risk as what a business would present, you don’t need to take a loan from the bank assuming you’re buying a property through loans and you don’t need to pay trust fees. But much like many of the passive income instruments, endowment benefits through life insurance requires time. 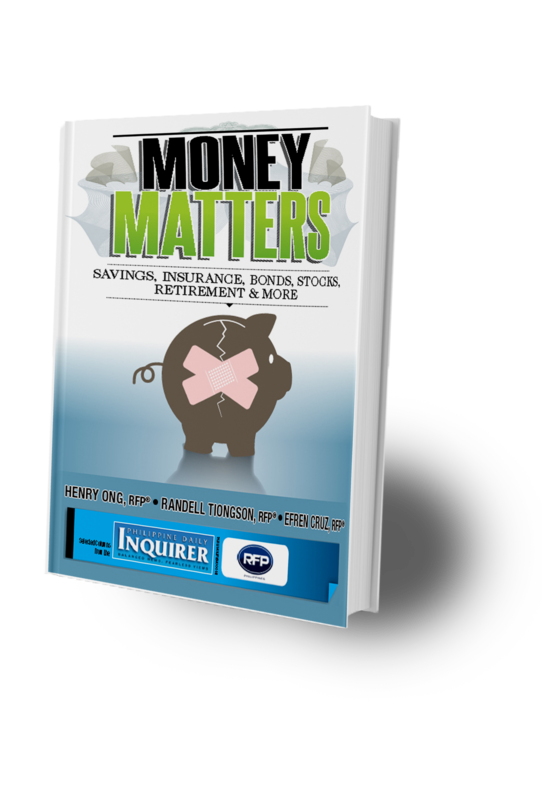 Jeremy Jessley Tan, RFP® is a registered financial planner of RFP Philippines. To learn more about personal financial planning, attend the 63rd RFP program this July. To inquire, email info@rfp.ph or text <name><e-mail><RFP> at 0917-9689774.